College of Wooster Physics Club members at Scot Spirit Day 2013. 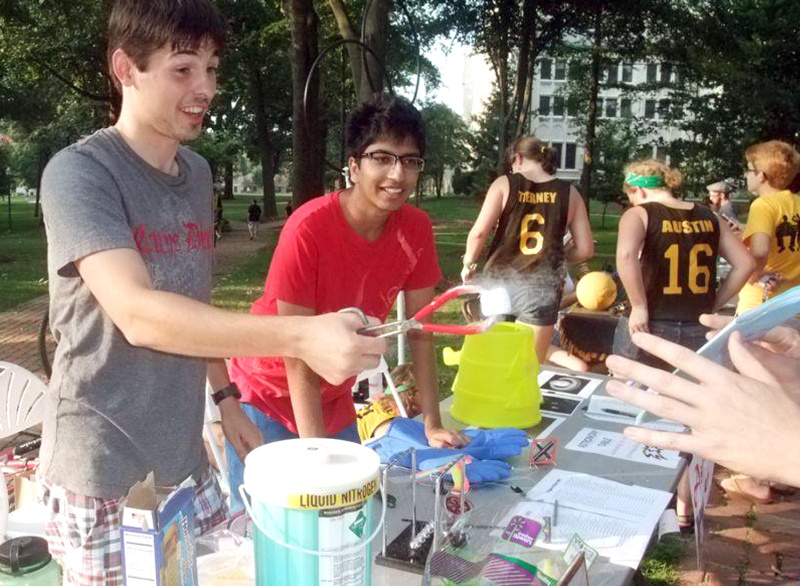 Elementary school outreach, Scot Spirit Day, Community Science Day and REU outreach represent the many ways that the Wooster Physics Club shares their passion for physics. Each year, outreach helps to form a special bond between the seniors and the underclassman, who learn the demos and how to show off the wonder of physics. Wooster strives to promote science education and the love of physics, despite age or educational gaps, believing that science is inexplicably intertwined with their future.